“Out of the slimy mud of words … there spring[s] the perfect order of speech” (T.S. Eliot). 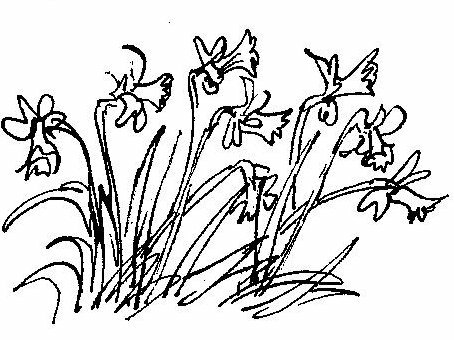 Eliot’s use of the verb ‘spring’ suggests that language emerges instantly and fully-formed, like a rabbit out of a hat. Historical linguists, sociolinguists and researchers into language acquisition (both first and second) suggest that the processes of language evolution and development are slower – and messier. To capture this messy, evolving quality, many scholars enlist the term emergence. In what sense (or senses), then, does language emerge? There are at least three dimensions along which language, and specifically grammar, can be said to be emergent: over historical time; in the course of an individual’s lifetime; and in the moment-to-moment interactions in the language classroom. Languages emerge over time. Pidgins, for example, emerge out of the contact between people with mutually unintelligible mother tongues. Creoles emerge when these pidgins are acquired as a first language by children in pidgin-speaking communities. English itself is the product of creolizing processes, as speakers of different local dialects came into contact with each other and with successive waves of invaders. There are some that argue that ELF – English as a lingua franca – is yet another instance of an emergent variety. Because, of course, English continues to evolve. The emergence of the future marker ‘going to’ is a case in point: in Shakespeare’s day, if you were to ‘going to meet someone’ you were literally moving in the direction of the projected meeting place. 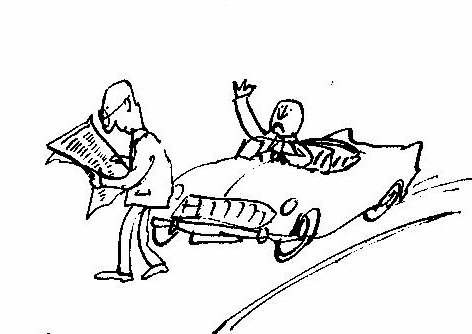 Over the course of a century or so, ‘going to’ became a metaphorical way of expressing a future intention. By the twentieth century it had further metamorphosed into the contracted form ‘gonna’. Such changes do not happen overnight nor are they ordained by some higher authority or by some genetic disposition. 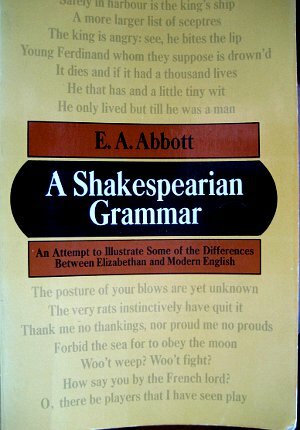 Arguably, everything we call grammar has emerged through similar processes, whereby lexical words become ‘grammaticalized’ to perform certain needed functions, and then, through repeated use, become established in a speech community. According to this view, ‘grammar is seen as … the set of sedimented conventions that have been routinized out of the more frequently occurring ways of saying things’ (Hopper 1998: 163). Emergentists believe that simple learning mechanisms, operating in and across the human systems for perception, motor-action and cognition as they are exposed to language data as part of a communicatively-rich human social environment by an organism eager to exploit the functionality of language, suffice to drive the emergence of complex language representations. These ‘rule abstraction’ processes have been modelled using connectionist networks, i.e. computerized simulations of the way neural pathways are sensitive to frequency information and are strengthened accordingly, to the point that they display rule-like learning behaviours – even when they have no prior grammatical knowledge (Ellis et al. 2016). In other words, the system continuously upgrades itself using general (rather than language-specific) learning faculties, a view that challenges ‘innatist’ theories of language acquisition, as argued by – among others – Steven Pinker in The language instinct (1994). From a complex systems perspective, the emergent nature of language learning is consistent with the view that, as John Holland (1998, p. 3) puts it: ‘a small number of rules or laws can generate systems of surprising complexity,’ a capacity that is ‘compounded when the elements of the system include some capacity, however elementary, for adaptation or learning’ (p. 5). While humans have this capacity, they are also constrained in terms of how information (in the form of language) can be processed in real time, and these constraints explain why languages share common features (so-called language universals) which, as Christiansen and Chater (2016) argue, are simply tendencies, ‘rather than the rigid categories of [Universal Grammar]’ (p.87). Is teaching, then, simply a matter of guiding the learners to find the tracks laid down by their predecessors? Breen, M. (1985). The social context for language learning – a neglected situation? Studies in Second Language Acquisition, 7. Christiansen, M.H. & Chater, N. (2016) Creating language: integrating evolution, acquisition and processing. Cambridge, Mass: MIT Press. Ellis, N. (1998) Emergentism, connectionism and language learning. Language Learning, 48/4. 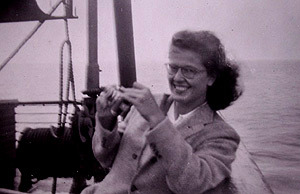 Ellis, N., Römer, U. & O’Donell, M.B. (2016) Usage-based approaches to language acquisition and processing: Cognitive and corpus investigations of construction grammar. Oxford: Wiley. Holland, J. H. (1998) Emergence: From chaos to order. Oxford: Oxford University Press. Hopper, P.J. 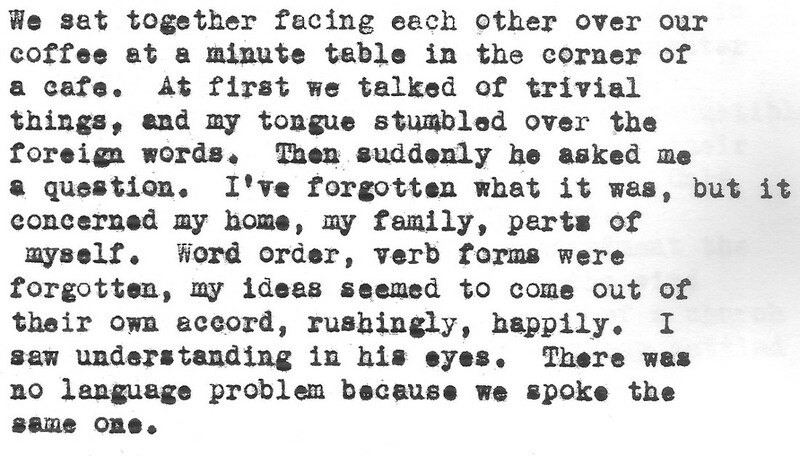 (1998) ‘Emergent language’ in M. Tomasello, (ed.) The New Psychology of Language: Cognitive and Functional Approaches to Language Structure. Mahwah, NJ. : Lawrence Erlbaum. Long, M. (2014) Second language acquisition and task-based language teaching. Oxford: Wiley-Blackwell. Wallace Stevens, ‘Thirteen ways of looking at a blackbird’. It’s spring and the male blackbirds are in full throat. I was listening to one for a good while the other morning, trying to track the way his little tune (what Wikipedia calls a ‘varied and melodious low-pitched fluted warble’) subtly changes with each iteration. Are these variations accidental? Is he perhaps not very good at holding a tune? Or are they intentional – improvisations on a theme, so to speak? Could these different inflections be the bird’s accent, as it were – the distinguishing characteristics that identify him to other (territorial) blackbirds? OK. So what’s the connection with language? Repetitive practice is good for musicians and language learners alike? That would seem to be self-evident. But I’ve already blogged about task repetition here, and about drilling here, and about controlled practice here. No, my current interest is in how ‘we never quite hear the same thing twice’, and, indeed, we never quite say the same thing twice. As Pennycook (2010: 43) puts it: ‘Repetition, even of the “same thing”, always produces something new, so that when we repeat an idea, a word, a phrase or an event, it is always renewed’. And rather grandly, he adds, ‘these ideas can be traced back to Heraclitus (540-475 BC), who insisted that change was real and stability only illusory, famously proclaiming that … “We both step and do not step in the same rivers. We are and are not”‘ (ibid: 42). By way of contrast, there is another term, iteration, which I think merits closer attention. 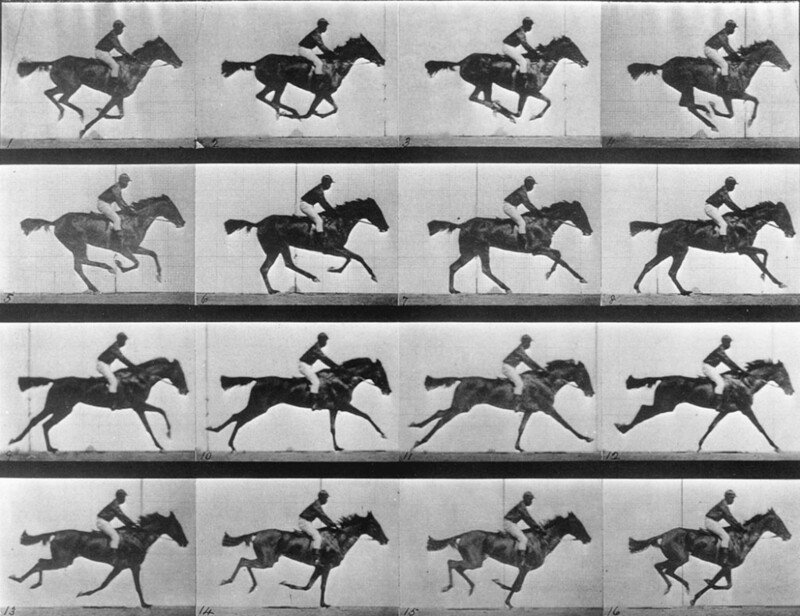 Iteration makes explicit the claim that the act of repeating results in a change to a procedure or system. In other words, what results from iteration is “a mutable state”‘ (2013:195). Elsewhere (2012: 202) she explains: ‘In a complex system, what results from one iteration is used as the starting point for the next iteration. Thus, the starting point or initial condition is always different’. By means of this illusion of systematicity, iteration equips us with the wherewithal to cope with, and exploit, the inherent variability of real language use. ‘What is learned through iteration are not simply meaningful patterns, but the process of shaping them appropriately to fit the present context’ (Larsen-Freeman 2012: 204). Thus, ‘learning takes place not by repeating forms of a closed, static system, but by meaningfully playing the game while revisiting the same territory again and again’ (ibid: 206). Like the blackbird: revisiting the same territory again and again. But how can we do this in class? Ball, P. (2010) The Music Instinct: How music works and why we can’t do without it, London: The Bodley Head. 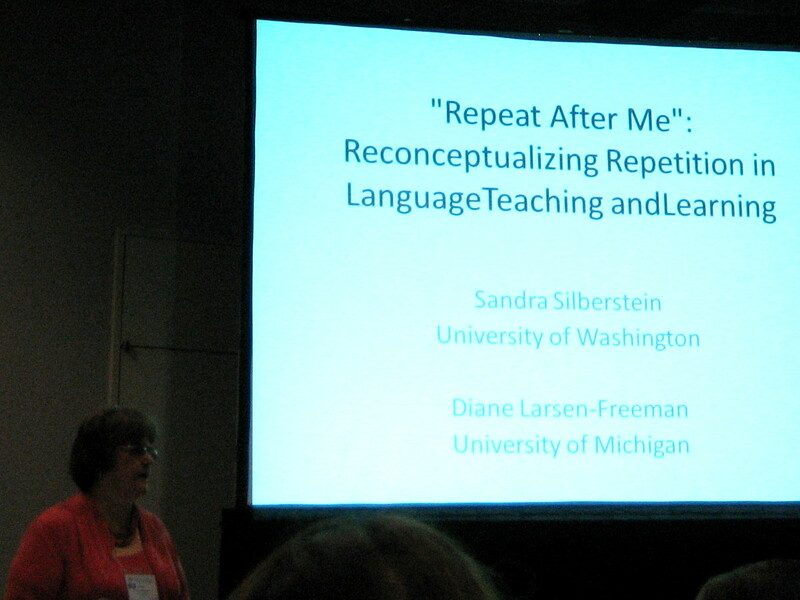 Larsen-Freeman, D. (2012) ‘On the roles of repetition in language teaching and learning’, Applied Linguistics Review, 3/2, 195–210. Larsen-Freeman, D. (2013) ‘Complex systems and technemes: learning as iterative adaptations’, in Arnold, J., & Murphey, T. (eds.) 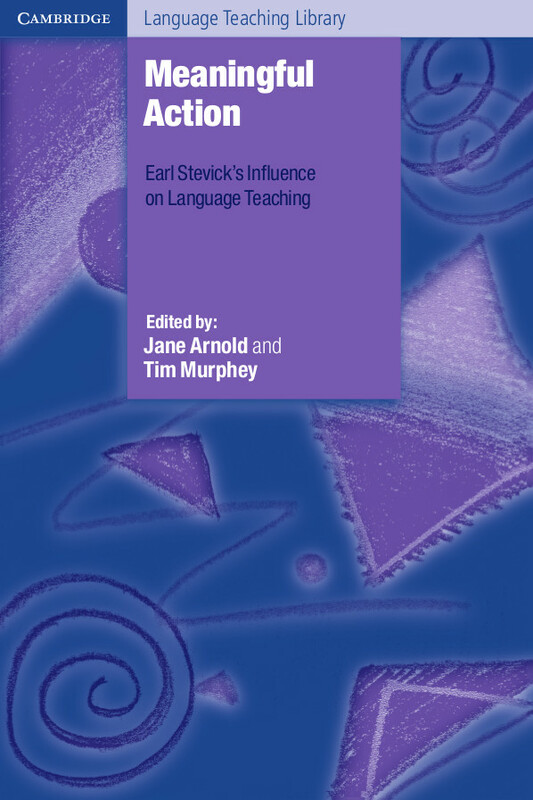 Meaningful Action: Earl Stevick’s influence on language teaching, Cambridge: Cambridge University Press. Pennycook, A. (2010) Language as a Local Practice, London: Routledge. Samuel, C. (n.d.) ‘The message of Olivier Messiaen’ (translated by Julie de La Bardonnie), sleeve notes to ‘Homage to Olivier Messiaen: the 80th birthday concert’. Disques Montaigne. 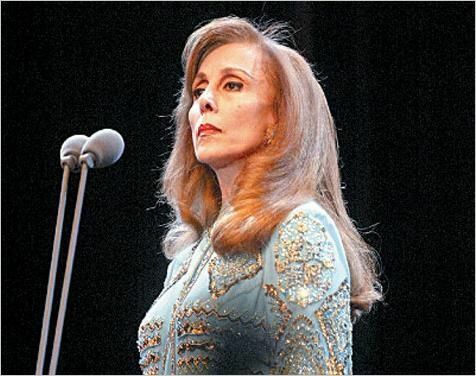 At Easter it’s our custom (more out of nostalgia than out of any sense of religiosity, it has to be said) to listen to the Lebanese singer Fayrouz singing traditional Easter songs from that region. What language is she singing in, though? In a new book, Suresh Canagarajah (2013) reminds us that this blending, mixing and meshing of languages, rather than being the exception, is the norm. Quoting Pattanayak (1984), he cites the example of south Asia, to the effect that, ‘if one draws a straight line between Kashmir and Kanyakumari and marks, say, every five or ten miles, then one will find that there is no break in communication between any two consecutive points.’ That is to say, a message passed down the line would reach its destination, irrespective of all the languages it traverses. It is important to appreciate that all language use – among whatever combination or grouping of native and non-native speakers – is situated, variable, and subject to hybridizing influences. This has never been more true than now, where immigration, tourism, and globalization, among other influences, coerce communication between speakers of different languages, with all the blendings, fusions, pidgins and macaronics that result. However much the ‘language police’ struggle to enforce the integrity of languages like (to choose a local example) Catalan, their efforts are foredoomed. Linguistic competence is not stored in the mind in neat compartments with clear boundaries; rather, a more appropriate image is that of a mass with no clear divisions among parts. Nor is linguistic competence in different languages stable over time as there is constant bleeding between and among languages as well as additions and losses in terms of repertoires. Thus, the idea that we are primed to speak a preordained language from birth has given way to the ‘complex systems’ view that language acquisition is the ‘soft assembly’ of meaning-making resources, or what Larsen-Freeman and Cameron (2008: 17) call ‘a “statistical ensemble” of interacting elements… constantly changing’. They add that ‘learning is not the taking in of linguistic forms by learners, but the constant adaptation of their linguistic resources in the service of meaning-making in response to the affordances that emerge in the communicative situation, which is, in turn, affected by the learners’ adaptability’ (2008: 135). “Languages” are always in contact with and mutually influence each other. 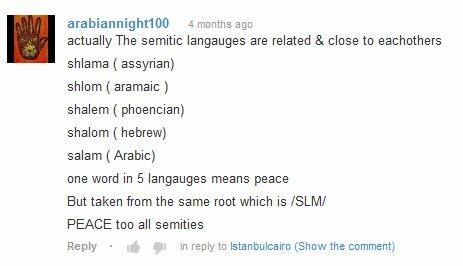 From this perspective, the separation of languages with different labels needs to be problematized. Labelling is an ideological act of demarcating certain codes in relation to certain identities and interests. To speak of the language, without further specification, as linguists do, is tacitly to accept the official definition of the official language of a political unit. This language is the one which, within the territorial limits of that unit, imposes itself on the whole population as the only legitimate language. 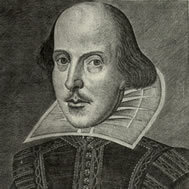 When [the dictionary’s editor, James Murray] asked members of the Philological Society, ‘At which Englishman’s speech does English terminate?’, he drew criticism for his unwillingness to provide an exact answer. One reason for doing so was his awareness that the British Empire was expanding. Murray and his paymasters differed on the question of how this should be recognised. The same question might well be asked of any so-called language. At which Spaniard’s speech does Spanish terminate? At which Croatian’s speech does Croatian terminate? And so on. The short answer, perhaps, is that we would facilitate a kind of creative DIY approach – semiotic bricolage, perhaps – by means of which learners would become resourceful language users, cutting and pasting from the heteroglossic landscape to meet both their short-term and their long-term goals. Maybe it also means that we can dispense with the need to ‘teach the grammar’ of the language: if the language does not have a fixed shape, neither does the grammar that infuses it. Language as a separate entity is a normative fiction…; it only exists in the fluxes of language use in a given speech community. For the language classroom this implies that what has previously been taken as the goal of learning, the “target language”, ceases to exist in any simple form…. Inside the language classroom, the dynamics of language-using by teachers and students leads to the emergence of individual learners’ growing language resources and of classroom dialects, and, beyond the classroom, to the emergence of lingua franca varieties. No longer are we Teachers of English as a Foreign Language. Rather, Teachers of Language as a Semiotic Resource, perhaps. Bourdieu, P. (1991) Language and Symbolic Power, Cambridge: Polity Press. Hitchings, H. (2013) ‘At which Englishman’s speech does English terminate?’, a review of Ogilvie, S. (2012) Words of the World: A global history of the ‘Oxford English Dictionary,’ Cambridge, in London Review of Books, 7 March 2013. Pennycook, A. (2010) Language as Local Practice, London: Routledge. Sewell, A (2013) ‘English as a lingua franca: ontology and ideology’, ELT Journal, 67/1. 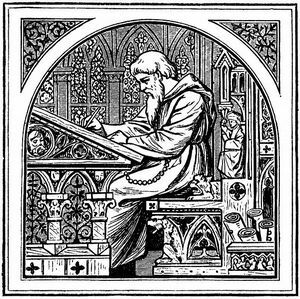 Medieval grammarians were obsessed with etymology because (according to a recent review in the London Review of Books) the study of word origins ‘perfectly expresses the medieval conviction that language is a comprehensive, fully rational system, in which any part may be logically derived from the whole – just as “logic” itself derives from Logos, the all-creating word’. The notion that ‘everything is in everything’ was a core precept of the Jacotot Method, also called ‘universal teaching’ (Rancière 1991 – I’ve blogged about it here), in which a single text (in Jacotot’s case it was a bilingual version of the 18th-century French novel Télémaque) served not only as the tool that revealed the secrets of the French language, but also the key that opened the intelligence of the learner. As Rancière (1991: 26) understands it: ‘That is what “everything is in everything” means: … All the power of languages is in the totality of the book. All knowledge of oneself as an intelligence is in the mastery of a book, a chapter, a sentence, a word’. 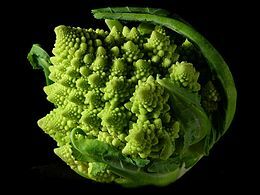 Cut to the 21st-century and the notion that ‘any part may be derived from the whole’ is a fractal one: ‘A fractal is a geometric figure that is self-similar at different levels of scale’ (Larsen-Freeman 1997: 146). Language, like other complex systems, is fractal in nature: patterns at one level of delicacy are reproduced at every other level. It takes only a very short text to display many of the basic design principles built into language, such as text organisation, sentence structure, word formation, as well as vocabulary distribution and frequency. In William Blake’s words, the text is ‘a world in a grain of sand’. Two elephants went on holiday and sat down on the beach. It was a very hot day and they fancied having a swim in the sea. Unfortunately they couldn’t: they only had one pair of trunks! In just three sentences the text displays a classically generic story structure, involving actors (two elephants), circumstantial details (on the beach, a hot day), a sequence of past tense actions, and a complicating event. 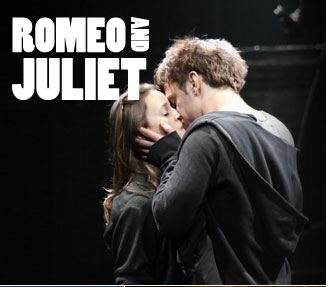 It also has a basic joke structure, consisting of a narrative and a punch-line, which here takes the form of a play on words. The 37 words further divide up into function words (also called grammar words) and content words (also called lexical words). The former include such common (and typically short) words as a, on, of, the, and was. The latter are the ones that carry the main informational load of the text, such as elephants, beach, hot, and unfortunately. In the elephant text, the relative proportion of these two types of words is roughly 50:50, and this closely reflects the ratio of function words to content words in all texts. Moreover, the proportion of common to relatively uncommon words in the text exactly reflects the proportions found in much larger collections of text: 30 of the 37words (i.e. roughly 80%) are in the top 1000 words in English. Not only that, but of the ten most frequent words in English, six are present in this text, some of them (a, and, the) occurring more than once. The fact that this tiny text is a microcosm of all text is consistent with what is known as Zipf’s Law (Zipf 1935, 1965). This law states that if a word is nth in frequency in a given language it is likely to occupy the same ranking in any single text in that language. So, the most frequent words in the language are likely to be the most frequent words in any text in that language, and their order of frequency will also be roughly the same. Zipf also showed that there is a correlation between the length of a word and its frequency. Short words occur often. Again, this is evident in our short text. Coursebook texts are generally rather long, in the belief (possibly mistaken) that learners need to be taught how to read, when what they actually need is the language knowledge (lexical, grammatical, and textual) to enable them to transfer their reading skills from their first language into their second. Long texts have the disadvantage that they take quite a long time to process, leaving little classroom time for the kind of detailed language work that exploits the text’s linguistic properties. In fact, as I’ve attempted to demonstrate, even a very short text, such as the elephant joke, is packed with pedagogical potential. What’s more, Zipf’s Law relieves us of the worry that short texts might not be sufficiently representative. As with the Jacotot Method, the choice of text is immaterial. ‘The problem is to reveal an intelligence to itself. Anything can be used. Télémaque. Or a prayer or song the child or the ignorant one knows by heart. There is always something that the ignorant one knows that can be used as a point of comparison, something to which a new thing to be learned can be related’ (Rivière 1991: 28). Larsen-Freeman, D. (1997) ‘Chaos/Complexity science and second language acquisition’, Applied Linguistics, 18, 2. 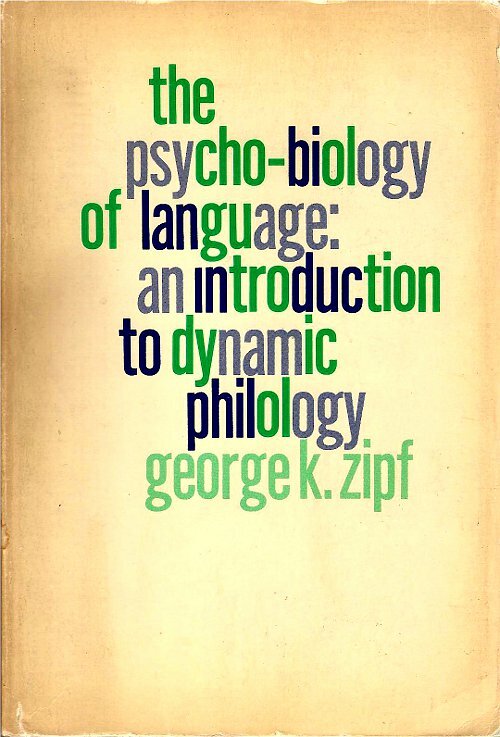 Zipf, G.K. (1935, 1965) The Psycho-biology of Language: An Introduction to Dynamic Philology, Cambridge, MA: MIT Press. Newman, B. (2012) ‘Ailments of the Tongue’, London Review of Books, 34, 6. The Great Puffin Joke Directory, by Brough Girling, Puffin Books, 1990. Problematizing a language item means alerting learners to the fact that a distinction that they had otherwise regarded as trivial or insignificant actually matters. One way of doing this is deliberately to induce an error and then show its effect. This is sometimes called a ‘down the garden path’ intervention, in that it lulls learners into a false sense of security and then intentionally trips them up. R. Ellis (2008, pp. 883-84) describes it thus: “Most production practice is directed at enabling learners to produce the correct target language forms (i.e. by avoiding errors)”. He contrasts this with an experiment by Tomasello and Herron (1988) in which the researchers compared the effects of two kinds of instruction on errors caused by overgeneralisation (like my ser and estar error). “In one treatment, the problems were explained and illustrated to the students (i.e. explicit instruction). In the other, which Tomasello and Heron referred to as the ‘down the garden path’ treatment, the typical errors were induced and then immediately corrected. The results of this study show that leading students down the garden path was more effective”. 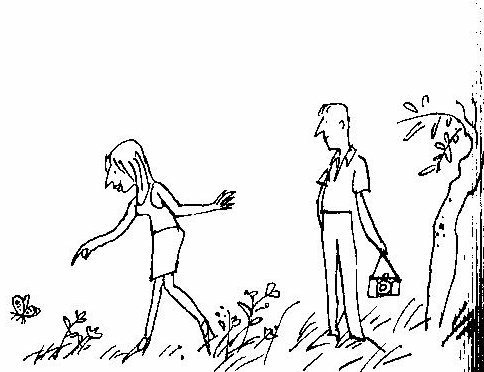 A ‘garden path’ approach works best, I think, when learners are unaware of a problem until they’re suddenly confronted with it. Comprehension problems are vital opportunities for learning. If learners encountered no difficulties in understanding, they would not need to go beyond their current level. It is by having to cope with a problem — either in understanding someone else or expressing themselves — that they may notice the gap and may learn the missing item. Learning becomes possible when the learner admits responsibility for the problem and so is forced to play [sic] close attention to the input. It follows then that it is not comprehension per se that aids learning, but… lack of comprehension. 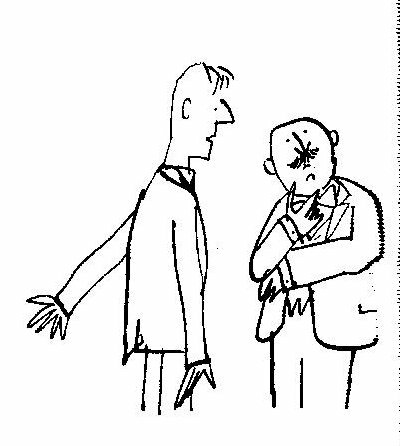 My interest in problematizing was pricked when a fellow teacher trainer once commented that he was very suspicious of observed lessons that ‘go like clockwork’: “If there are no problems, there is probably no learning”. L2 acquisition involves learners in a conscious dialectic tension… between the conflicting forces of their current interlanguage productions and the evidence of feedback, either linguistic, pragmatic, or metalinguistic, that allows socially scaffolded development. Problematizing is a way both of heightening that tension and (hopefully) of resolving it. Ellis, N. 2008. ‘The dynamics of second language emergence: cycles of language use, language change, and language acquisition. The Modern Language Journal, 92: 232-249. Ellis, R. 1997. SLA Research and Language Teaching. Oxford: Oxford University Press. Ellis, R. 2008. The Study of Second Language Acquisition (2nd edition). Oxford: Oxford University Press. Larsen-Freeman, D., & Cameron, L. 2008. Complex Systems and Applied Linguistics. Oxford: Oxford University Press. Lynch, T. 1996. Communication in the Language Classroom. Oxford: Oxford University Press. Thornbury, S. 2001. Uncovering Grammar. Oxford: Macmillan. Tomasello, M., & Herron, C. 1988. Down the garden path: Inducing and correcting overgeneralization errors in the foreign language classroom. Applied Psycholinguistics 9: 237-46.